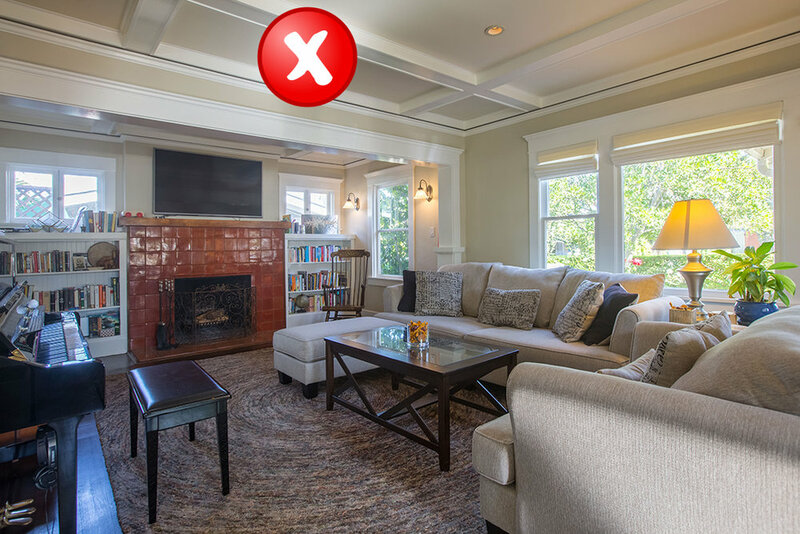 Compare Mindy's lighting & Photoshop methods with those of other photographers in this "Do's & Don'ts in Real Estate Photography" article, written by Mindy. 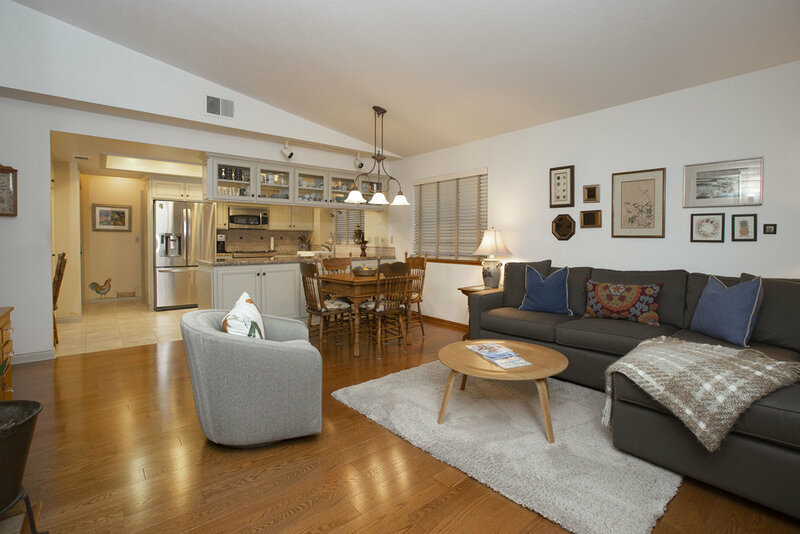 Compare the images below to learn some of the Do's and Don'ts in Real Estate Photography. Move the slider back and forth and imagine seeing the two photos next to each other on MLS. Ask yourself which one would peak your interest more. Because I use to have an untrained eye, I know that it is easy to think that bad photos look great. I thought my first photos looked great when I started out until I compared them to some by a photographer with experience; And now I can look back and see all the mistakes that that experienced photographer was making. Ones eyes need to be trained like any other part of the body. Once you start seeing the immense differences between these photo techniques, you'll do a much better job of hiring a photographer who's photos jump out from the rest, in a good way. Move the slider back and forth to compare. My Final Image was accomplished by using multiple off-camera flashes to create multiple exposures which are then manually & artistically blended together in Photoshop. The "Don't" image was created by just taking one image with no flash. 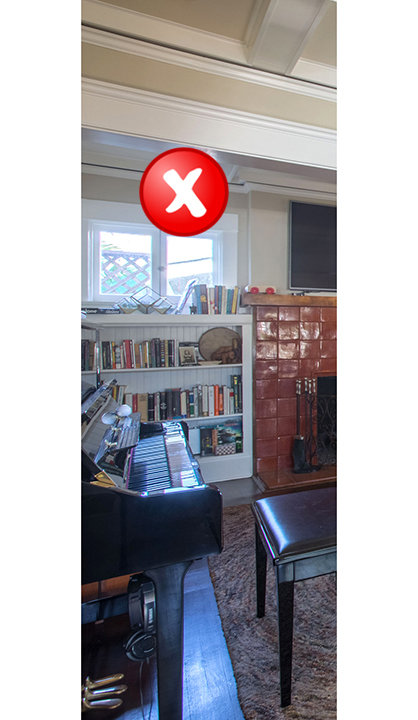 1 Exposure &No Flash When Facing Windows - DON'T! This is usually a mistake made by newbie photographers, including myself, when I started out. The problem is, you either end up with extremely blown out lights and windows, spilling into the image, or blown out windows and a very dark interior. And if you want to see the views out the windows, forget about it..You can get away with this if you are facing away from windows, but I still prefer to bounce a little flash off a wall to even out the light and add some pop. Multiple Exposures with Off-Camera Flashes and Natural Light, Blended Together Manually in Photoshop - DO! The best way to deal with light requires several exposures taken with off-camera flashes. These 2-3 (or even 4 exposures in a difficult room) should then be blended together MANUALLY in Photoshop. This means the photographer chooses exactly which part and what amount of each exposure ends up in the final image. This requires a bit of artistry, and is not something you will find large Real Estate Photography companies teaching or paying their employees to do. The "Don't" image above was created by just taking one image with a direct on-camera flash. 1 Direct On-Camera Flash - DON'T! Direct On-Camera Flash is very unnatural and unpleasing to the eye. This creates very harsh shadows which makes for a dreary, cheap looking image. You can see out the windows, but at the expense of natural light which is absolutely necessary if you want a warm, inviting ambience and natural look. This was a difficult room to shoot and required 4 different exposures to be blended together. This is because of the wall divider and the shadows it created. Manually blending together multiple images allows for you to work around these obstacles and combine a nice balance of natural and artificial light to recreate what the eye sees. Every exposure is taken with a particular blending method and final image in mind. The "Don't" image was created by using automatic HDR software (High Dynamic Range). This method, if done right, results in natural looking, clean, crisp, high quality images. A high quality photograph can raise the perceived value from just "average" to "luxurious & modern". Automatic HDR Technique - DON'T! This is the most common method that professional photographers and photography companies use. It is quick and methodic, so it's easy to teach to employees. It evens out the light so that the windows aren't totally blown out, but at what expense. The selected exposures are put into a software that automatically blends all 3-5 images together to make one image. 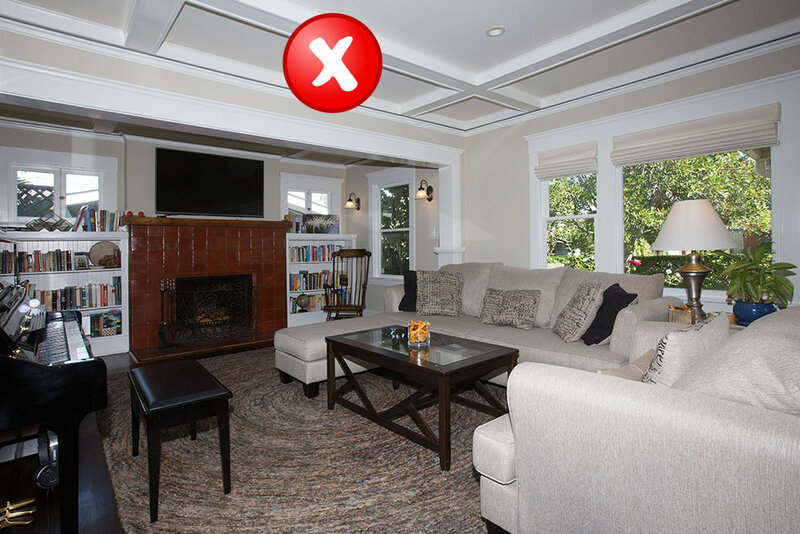 The photographer has very little control and the result is lack of contrast, fuzzy edges, unwanted color casts (such as the yellow on the ceiling, walls & lighting fixtures) and too much detail where you don't want it (making the image look busy and messy). Newly renovated homes suddenly look a bit old and dreary. Here is a slice of the image you just looked at above (Auto HDR vs. My Technique) Move the slider to compare. By focusing on a small slice of the image, it can be easier to see the measurable difference in quality. The photos you get for your clients are one of the few things they can evaluate your performance on. They don't know how much time you are spending on their listing or if the time you do spend is strategically sound. But an image is something everyone can understand. Especially if you educate your clients on the difference between truly professional photos and poor, low grade work. The more your eye is trained, the more you will start to notice that most of the photos out there, whether taken by a professional or not, are not high quality. This gives you a huge leg up on the competition if you take advantage of it.